Not always in sync with your spouse or partner? Try befriending a homeless ex-con who shuns you. Maybe some miracles will happen. An art dealer to the rich and famous, Ron Hall doubted that advice. His spunky wife Deborah was insistent. Homeless drifter Denver Moore became a catalyst that transformed their lives and jumpstarted a major community service movement. 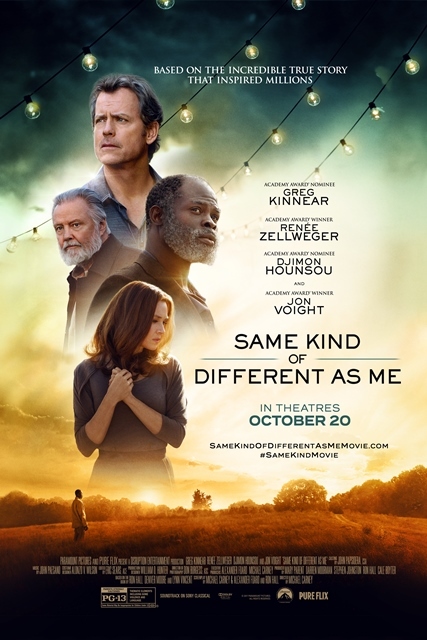 The book with their story, Same Kind of Different as Me, by Ron Hall and Denver Moore with Lynn Vincent, became a New York Times bestseller. Now it’s a Paramount / PureFlix film that aims to inspire viewers toward reconciled lives, solid relationships, and significant service. 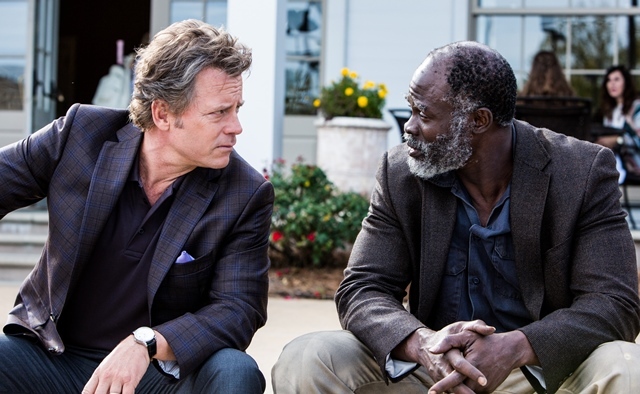 The cast includes Academy Award nominees Greg Kinnear (As Good as It Gets, Heaven is for Real), and Djimon Hounsou (Blood Diamond, Guardians of the Galaxy), plus Oscar winners Renée Zellweger (Cold Mountain, Bridget Jones’s Diary), and Jon Voight (Coming Home, Transformers). Nineteen years into their once-storybook marriage, Ron had an affair with a female artist. Eventually – with, as he explains it, “a little help from my friends” – he confessed to Deborah. Ron had confided in a male friend, who told his own wife, who informed Ron that if he didn’t tell Deborah, she would. The Halls had found faith in God earlier in their marriage, but Ron’s business success had focused him on wealth and they had drifted from each other. Counseling and dedication helped rekindle their romance until they felt “velcroed at the hearts.” Deborah felt strongly they should volunteer at a local homeless center. That sent them on the ride of their lives. When she first saw Denver Moore, Deborah wanted to befriend him – in spite of his angry, violent behavior. Ron was skeptical. Poverty, racial oppression, prison, and homelessness had built mountains of mistrust in Denver, an African American. When he first encountered Ron and Deborah (Caucasians both), he avoided them. Denver asked about Ron’s possessions, “Are you sure you own them, or does they own you?” Ron often found himself the student and Denver the professor. As Ron and Deborah served the homeless, her sparkle magnified and their marital love deepened. 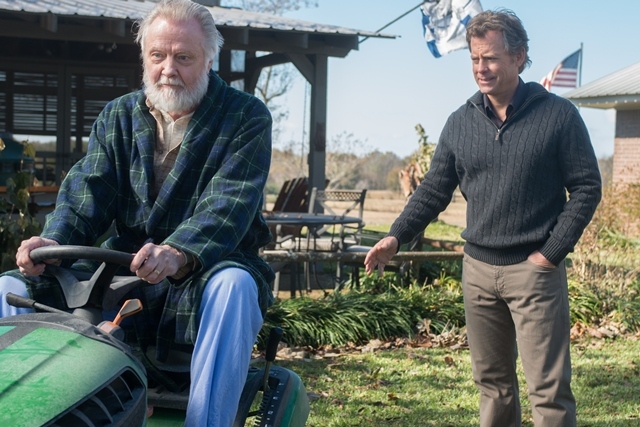 They would need all that love – and God’s, too – for the enormous challenges still ahead, which the film depicts with grace and beauty.